For tourism industry in Sanur, Segara Village Hotel has played a significant role in bringing the vibrant little village to the forefront. it began in the early 1950's when Mr. and Mrs. Kompiang scraped up everything they had and bought a large seaside property in Sanur, which was mostly covered with Pandanus trees and largely inhabited by coconut groves. The Segara Village Hotel, a 35-room hotel was erected there. It was the first of such establishment in that area. The Kompiangs also paved the way for locals to run their own international standard hotel. the couple formulated their own brand image and management through keen observation of what their guests want. Some time in the 1960's, Mr. Kompiang had to relinquish his already successful business by a request from the late President Soekarno. The whole family then moved to Jakarta as Mr. Kompiang was to resume the position of the president director of Bali Beach Hotel. He brought his family back to Bali in 1967 and began on rebuilding his hotel business. The new establishment is called Segara Village Hotel. It is situated right across his old hotel and consists of 10 bungalows. With years of experience in the industry, Mr. Kompiang based his last project on a breaktrough yet indigenous concept of village community of Sanur. It actually enhances the unique local quality that is the reason Sanur becomes what it is today. 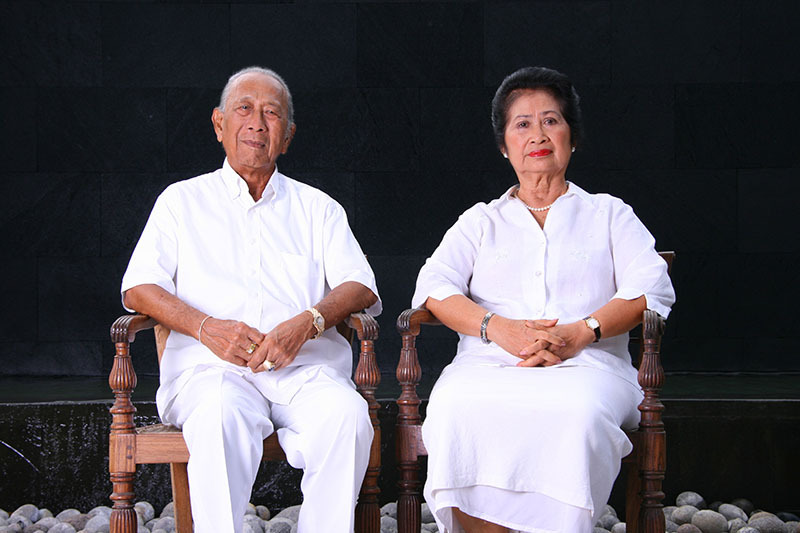 Mr. and Mrs. Kompiang can look back to all the difficult years they have gone through and sit back to enjoy the fruits of their hard work. Now the Segara Village Hotel is a 5-hectare property consists of 117 bungalows equipped with international standard facilities. Segara Village Hotel complex, with their own wonderful architecture, modern yet stays true to the Balinese ambiance.